One of the regulatory lane use control signs. The "Turn right only" road sign marks dedicated turn lanes. 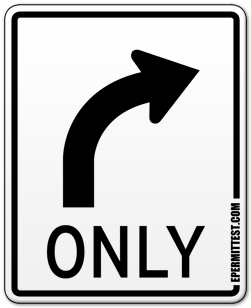 Right turns only are allowed from the lane displaying this sign.